Signs – the world’s full of them. With so many signs, yours can seem like a tiny little needle in a big old pile of hay. Signage can be expensive, and settling for ones that don’t pull your customers in is just not acceptable. Here at Pike Graphics, we believe that if your sign isn’t being seen, it isn’t doing its job. 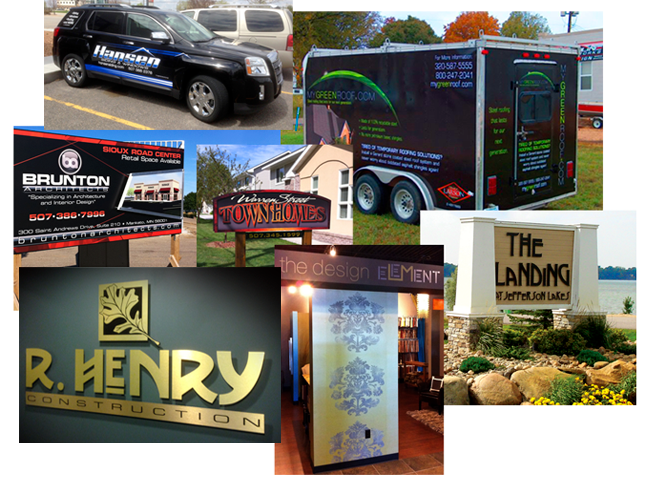 Sign companies are a dime a dozen, and in no time at all, you can have a sign with anything you want on it. However, chances are that signage will look like almost every other sign that company has ever made, and no doubt become just another invisible sign on the wall. There’s more to creating signage than just slapping some clipart on a background and calling it done. Stellar signage starts with a pre-conceived, unique design that includes your company’s logo. It takes a little bit of time to create a work of art that’s sure to stand out from the rest. Imagine being at a tradeshow where all the vendors are selling the same products, but everyone is at your booth. That’s what stellar signage can do for you. The designers here at Pike Graphics are ready to help you stand out with stellar signage that draws your customers in. We start at the beginning by creating a unique design – don’t worry if you don’t have a logo yet. We can help with that, too. We work with you every step of the way to make sure the finished product is awesome! Once the design is complete, we even help you get your custom design built, printed and even installed. We have working relationships with several sign manufacturers so we can keep your costs low, and we take the extra time to ensure everything is explained to both you and the sign production team so the job is done right the first time. No job is too big or too small. Take a look at some of the types of signage we design. Pike Graphics prides itself on our knowledge of the latest technology and materials to give your signage that “WOW” factor that makes people actually take notice of your business. Don’t be a needle in a haystack. Contact Pike Graphics today and begin designing signage that’s going to bring new customers and new life into your business. ASK US ABOUT OUR 25% OFF CUSTOM VEHICLE WRAPS!